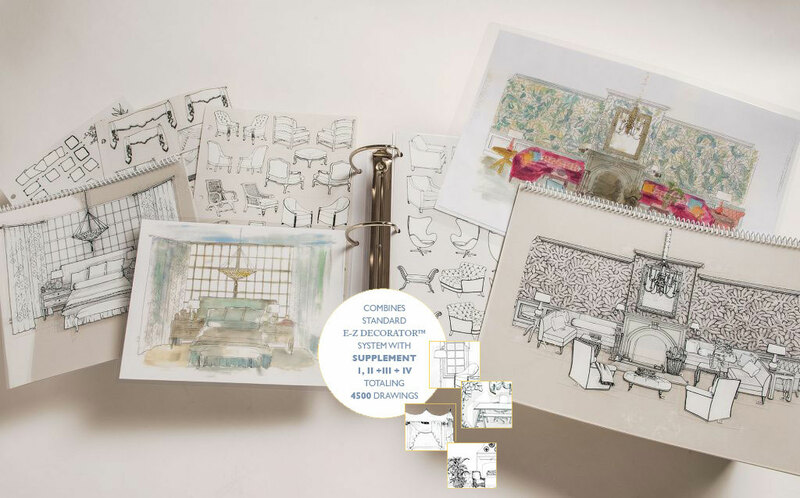 Drawings from Supplements I, II, III and IV are added to the Standard System. Offers additional 1,000 drawings in a separate category of INDOOR/OUTDOOR furnishings and accessories. Packaged in 2 binders with 2 standard grid/templates. 2019 © E-Z Decorator. All rights reserved. Patent No. 5,601,431.